The Zion Canyon Overlook trail at Zion National Park is a fairly easy hike that will reward you with panoramic views of the canyon that will leave you breathless. The entire hike was only a little bit more than a mile round trip and only takes about 40 minutes. If you are looking for a short hike, are pressed for time or have the kids or grandparent with you, then this is the hike for you. The trail is well marked and is hiker friendly, can accommodate most people but is not handicapped accessible. The very beginning is the hardest part of the trail and it can seem a bit steep for some people. Once you get past the initial bit of climbing, nothing serious just a bit steep, then the rest of the hike is fairly level with small up and downs as you make your way out to the overlook. Since it is only about ½ a mile to the overlook most people can make the hike in about 20 minutes or so. You will want to take you time to enjoy the mesas and red rock formation you will see along the way to the overlook as well as the gorgeous views. The Zion overlook trail not only offers view of the canyon and pine creek below but if you look toward the tunnel then you will also notice where the windows were carved into the rock as part of Zion tunnel during construction. All in all, this is a great short hike that everyone should take the 40 minutes to enjoy. Take the kids and grandparents as this hike is sure to please the entire family, and the views will not disappoint anyone. 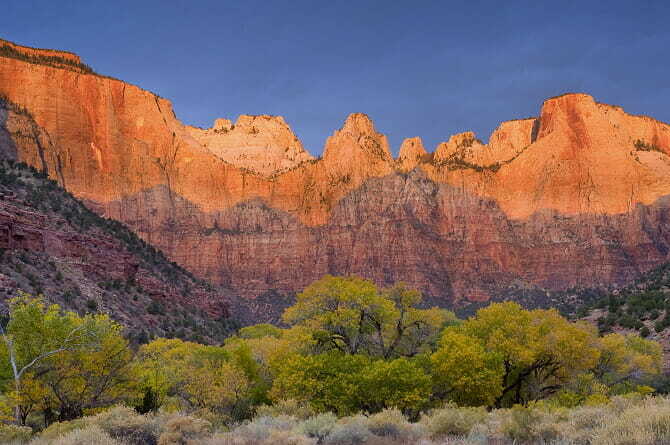 If you are going to Zion National Park, then this is a great short hike to plan on taking before or after going on an ATV/UTV tour with ATV & Jeep Adventure tours!